The Polka Theatre, one of the UK’s leading theatre venues for children aged up to 14, have announced a new 2018 season including exciting new Polka productions and enticing visiting work. On the Main Stage, the season opens with an adaptation of Michael Rosen’s classic poem Chocolate Cake. 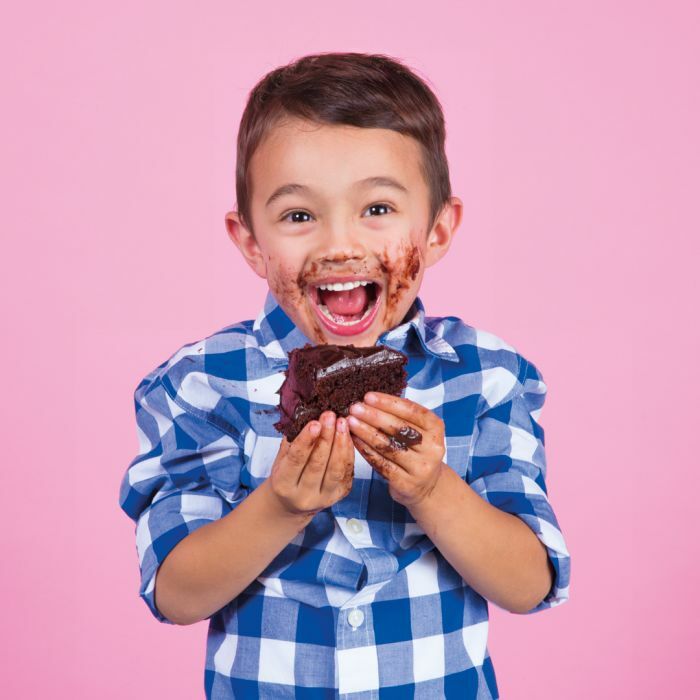 Suitable for ages 4+, this new musical version, adapted by Glanville and Barb Jungr and following two brothers and the sudden night-time disappearance of a chocolate cake, runs at the Wimbledon venue from 23 March to 13 May 2018. This is followed by the return of a beloved Polka classic – Jacqueline Wilson’s Double Act – which first premièred at the Polka Theatre in 2003, and returns fresh from a hit UK tour. Adapted and directed by Vicky Ireland, this gripping story about two twins who do absolutely everything together, opens on 15 June and runs until 5 August. For younger children, the smaller Adventure Theatre will house an extraordinary puppetry adaptation of Julia Donaldson’s book The Everywhere Bear (6 July – 26 August), in which a small bear embarks on a big adventure, and This Is My Bed (13 – 24 June), a unique collaboration with English Touring Opera about a bed with a mind of its own. In addition, Techtopia, a festival of digital delights will open on 24 May until 3 June, exploring how technology shapes our lives and our thinking. Throughout the Festival, Polka’s foyer will be awash with free activities and interactive art installations including storytelling in an enchanted forest, digital wallpaper and a climate fortune-teller. Operating for over 35 years, the Polka Theatre sees over 90,000 children, along with their families and teachers, from across London and the South East visit each year to see inspiring, new theatre including plays, opera, dance, digital theatre and puppetry, as well as interactive storytelling and creative learning workshops. Polka’s renowned productions also travel across the UK and overseas to cities across the world. Public booking for the new Polka season opens on Friday 24 November at 12 noon, through the venue’s website.